Published at www.theconversation.com on Saturday 19/09/2015. When the Greek people vote in Sunday’s election they are being asked to offer their judgement on former prime minister, Alexis Tsipras, and his Syriza government. That judgement should be harsh. During a fraught 2015, Syriza’s leadership sought a political triumph over ideological adversaries in the eurozone by trying to force them to submit to extraordinary demands. They essentially used Greece as a bargaining chip in this ideological battle and declined to use the most obvious and less risky methods available to them to improve the future of Greece. I would like to explain this not only as someone who understands the technicalities of European Union law, but also as a Greek citizen who is also involved in the Greek election, as a candidate for the new centre-Left party To Potami. Many commentators seem to think that Syriza fought for Greece’s right to remain an equal member of the eurozone without excessive obligations – a fight that was lost due to the ideological commitments of European governments (Germany in particular). A closer look, however, shows a different picture. One cannot understand what happened without a good grasp of the legal framework of the eurozone and of the bailout deal. Former finance minister Yanis Varoufakis, has given a recent summary of events to newspaper Kathimerini, talking about his misgivings over the agreement reached on February 20. But his summary also confirmed for me that the handling of that agreement was bungled and that its presentation to the Greek public was, to say the least, misleading. Varoufakis complains that on February 24, the troika – the European Commission, European Central Bank and International Monetary Fund – violated the letter and spirit of the agreement from four days earlier. He says that whereas the earlier agreement was about replacing the old commitments with a new list to be proposed by Greece, they insisted that the deal incorporated all the pre-existing austerity conditions. He regrets that he still signed it. The truth is that no agreement from the informal Eurogroup – as was signed on February 20 – could amend the bailout conditions imposed on Greece in the previous Memorandum of Understanding as Varoufakis suggests. In fact, a glance at the text of the statement makes it clear that this was not the intention at all. It makes existing conditions available for a few more months. It allowed the banks to stay open with ECB support until June 30. Even if such a joint statement had expressed a desire to replace the bailout conditions, this could only have been the beginning of a long and complex legislative process. It would have to include the EU Commission, Council, and Parliament, but also national governments and parliaments. How this agreement with the Eurogroup was presented, though, is quite extraordinary. The Greek government behaved as if it had not signed this agreement but an entirely different one. The government announced that they had changed the terms of the bailout. They said that austerity and the troika had “ended”. With their usual high rhetoric, they declared that there was now an entirely new and different deal and that everything was up for negotiation. Varoufakis’s recent comments prove that even if they had entertained any illusions at the start, by February 24 at the latest they knew that they had extended the old bailout deal without changing its terms. The government chose not to submit the agreement to parliament, contrary to established practice. As a result of these announcements, however, the government’s popularity soared. For the first time in years the EU was seen to have been defeated. People believed the official story, which few challenged, that the EU had conceded ground due to Syriza’s robust demands. Varoufakis’s admission that he knew the truth shows something else too, which is even more important. From February onwards, he knew that, legally speaking at least, he could only negotiate under the agreed terms. And he chose not to. That puts into perspective his all-out assault on the eurozone. The subject matter of this tug of war was not Greece’s particular position but the structure of the eurozone as a whole, which Varoufakis wanted and still wants to change. The Greek government’s overall strategy was to force Germany to allow debt forgiveness, loans from the ECB and no reviews. 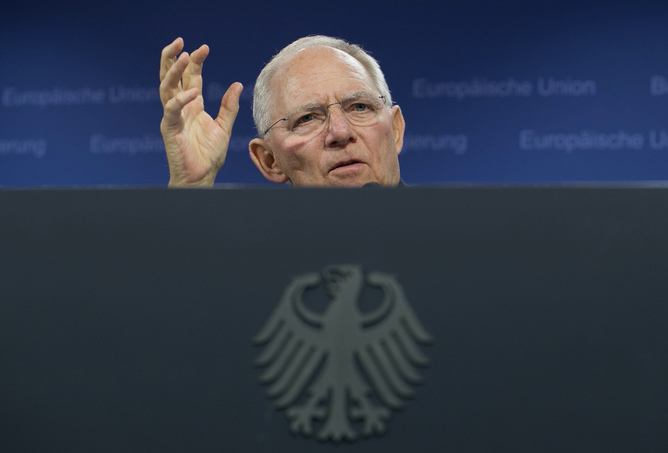 It expected Germany to give in solely due to a fear that a Greek exit would bring about the breakup of the eurozone. For this gamble to work, Grexit had to become a real possibility, a prospect close enough to scare leaders into panicked retreat. Of course, the strategy was extremely risky. 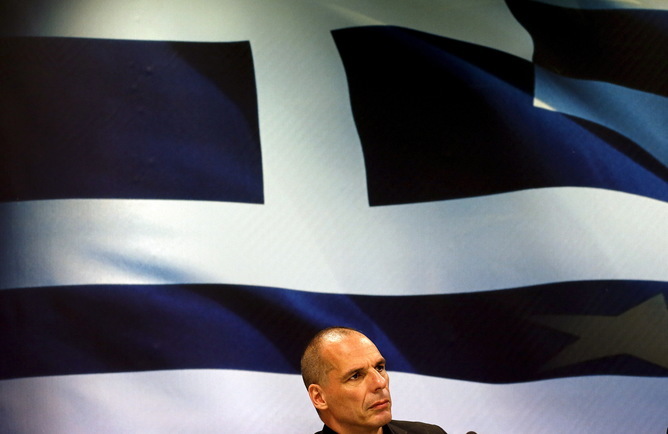 If anything went wrong, years of misery would most certainly follow for the Greek people. Yet, dizzy perhaps from their startling ascent, Tsipras and Varoufakis set aims so ambitious, so globally significant, that the particular needs of the Greek economy became a sideshow. So the Greek government went on for the next four months demanding things that were not available under the eurozone legal framework. They required for the most part wholesale changes to European treaties. But such ambitious changes were actually not needed for achieving a less painful deal for Greece. There were other, more obvious avenues, which the government chose not to take. The bailout is now governed by a new piece of EU law which essentially shifts responsibility to the European Stability Mechanism (ESM). This means that the best possible outcome for Greece would have been to secure, first, an improvement in its financial position and then an end to the adjustment programme under the ESM, followed by post-programme surveillance. Syriza, however, kept ignoring this and other possibilities here and kept pushing for changes that were much harder to satisfy. Tsipras and Varoufakis effectively persuaded Greeks that a Grexit was highly unlikely, since the EU was already giving ground. The government’s popularity allowed it to engage in ever riskier actions and statements. This, in theory, might have served to make its threats to Germany more credible. It was the rationale, I suspect, of the ill-fated referendum of July 5, which brought about capital controls. Tsipras announced it promising that a strong “No” would strengthen Greece’s hand. As everyone who knows something about the eurozone understands, these hopes were entirely misconceived. Germany could not have accepted the rewriting of the rulebook. The credibility of monetary union was on the line. So Tsipras' hopes were immediately dashed on the evening of the referendum, when the eurozone leaders told Tsipras over the phone that no new deal was forthcoming. In the aftermath, Tsipras' party has split and his popularity has fallen to such an extent that the result of the coming election is too close to call. But what is most striking in this story is not this outcome, which was widely predicted. It is the fact that Tsipras never really attempted to negotiate a deal which would improve the bailout terms for his country. Even though Tsipras assured his people that this was what he was doing, such a negotiation never took place. He pursued a different project, namely the change in the rules for the whole of the eurozone. He did not use the most obvious route to help his country. Perhaps history should record this failure as the most important one of all.